In the past, I have partnered with many to run some fun and unique contests here at CC all with the emphasis on creativity. 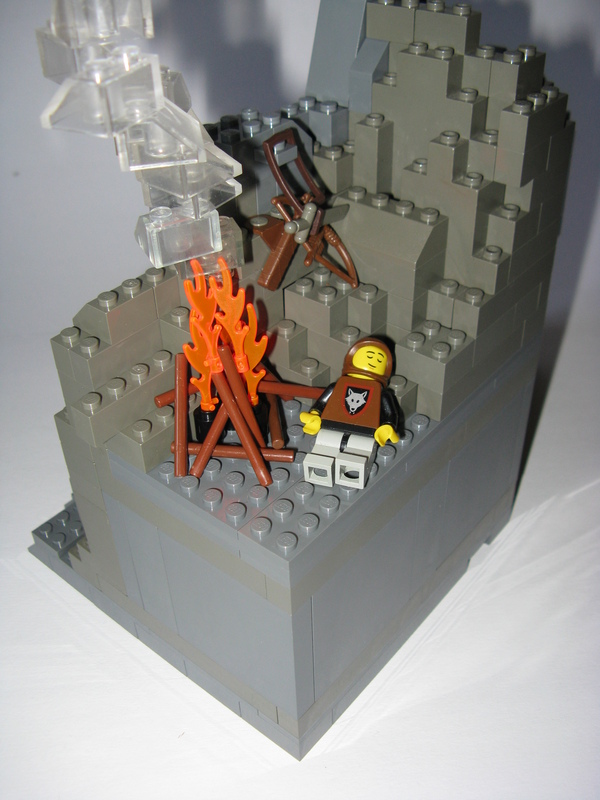 Inspiring many to create MOC’s of imaginary events and jobs, all while giving very little rules to stifle the builds. It has been a while, so I thought I would try my hand at this alone. Long ago, the mystical and magical creature called the dragon was created. They existed in many societies around the world. Some could fly, some could swim, some breathed fire, and so on. Since the debate if they were real or legend has become a fun pastime for some, annoyance for others, historical for some, and a quest for proof for others. Even here at Classic Castle, we have had a debate about their existence. TV shows, films, books…the dragon’s existence inspires many amazing creations. 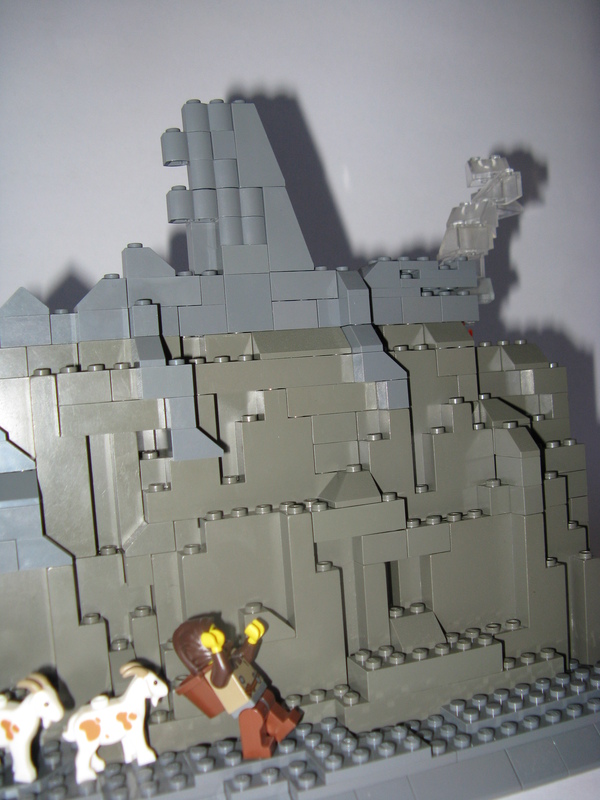 Build a MOC showing what or how you believe the amazing and fabulous dragon came to exist. The emphasis is on creativity! Please realize that while there can be a dragon in your MOC, the focus is on what created the legend. It might mean that your build does not have a dragon in it at all. This contest is about what inspired the creation of this mystical creature, not the creature itself. When the contest is about creativity, the rules are small and simple. 1) Submit your entry to THIS thread before the deadline. 3) You can enter up to three entries. 4) There is no size limit. 5) All entries should be built solely for this contest. Any build that is used for another purpose may be removed from the contest. 6) There are no building restrictions EXCEPT all MOC’s must meet and follow the CC TOS, rules, and guidelines. Any moc submitted that fails to meet these will be removed. The admins of CC reserve the right to remove any MOC from the contest. Any CC member, staff, or admin…except for the one running this contest. Please ask your questions in this thread only. EDIT: Everybody, please disregard anything else I previously wrote. I should have used a PM for my suggestion. Hmmm... sounds interesting. I am really going to have to think about my backstory before I try to build it out. This should be fun, thanks for running this, Blue. Btw, great prizes! rogue27 wrote: One suggestion: Perhaps the top 3 finishers could choose their prize in finishing order? Here is the forum thread about dragon existance that Blue noted. I just thought I would put the link out here, it is an interesting read, and maybe could inspire someone in the contest. One suggestion: Perhaps the top 3 finishers could choose their prize in finishing order? Gentlemen, I listen to all suggestions and take them into account. But in all fairness, I do not believe any contest should change it's rules/procedures while it is currently running. Therefore, no, the prizes will not be distributed as you suggested. Thanks for running this contest. Looks like it will be a lot of fun. ooops..yes. I will fix that. Thank you. Looks very interesting! I might have to put something together for this. Description The legend of the Dragon goes all the way back to Roman times. 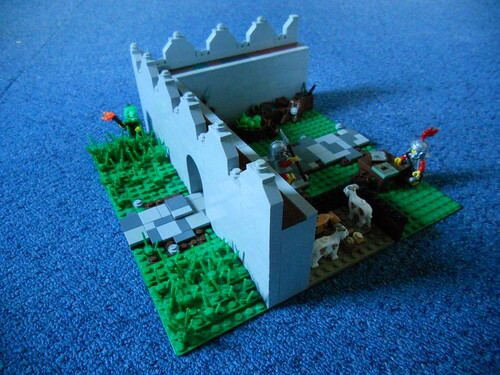 In those days, Roman forts were placed all over Britain, in order to mark their territory. Often times, native boys would play tricks on unsuspecting Roman guards at the gates. Dressing up in various costumes, masks, and throwing sticks and stones were common. However, young Grimwald was famed for his ability to throw together elaborate costumes from various animal parts. Wearing his latest creation made to look like a giant lizard, he brings along a torch and hides in the bushes. With a quick yell and a few swings of the torch, poor Maximus is sent screaming back into the fort! The tale was told throughout the barracks and back to Rome. As with most orally told stories, some elements were changed here and there. Instead of "giant lizard holding a torch" it became "giant lizard that spewed fire" and so on and so forth. With each passing tale, it became less and and less true to the original, until we reach the common idea of the "dragon" we all know and love. This is a great contest, I'm glad I was able to actually finish my entry on time (for once!) and can't wait to see everyone else's entries! As always, my Brickshelf has more photos, when moderated. As a poor farmer brings his two goats along the mountain pass, he notices that the rock formation looks very similiar to some lizards, but a big protrusion gives it some wings. And it's smoking! The farmer is terrified, and when he gets home, he tells his fellow peasants of his encounter of a 'dragon', a fersome beast that ate his third goat for dinner, by roasting it over a fire made by the dragon's breath. Unknown to the farmer, it was just a peculiar rock formation with an outlaw hiding in the mountains and not taking care of his fire. The exchange student always blew off his sculpture assignments so he could dream up new monsters. Nobody expected that his creations would find their way into legends.